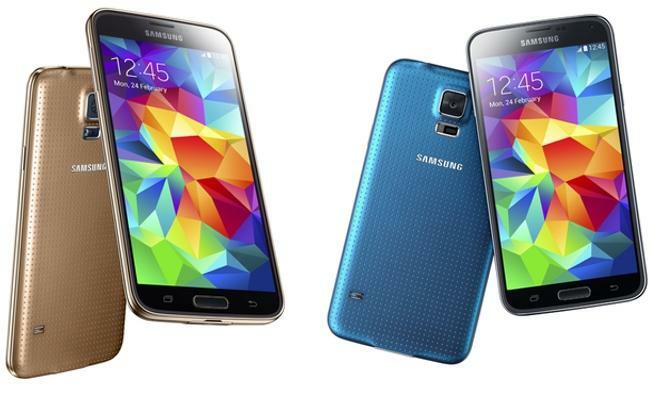 As Samsung's new flagship Galaxy S5 nears official release, videos and "first looks" are popping up across the Web, the latest of which pits the handset's swipe-style fingerprint reader against Apple's Touch ID. For a short five-minute video, uploaded to YouTube by iCrackUriDevice, the clip offers a fairly in-depth comparison of the two companies' approaches to fingerprint recognition. Whereas Apple's Touch ID system has been discussed at length (and even detailed by Apple in a technology white paper), Samsung's entry is largely untested. From the footage released today, however, it appears that Samsung's Galaxy S5 uses a moderately enhanced swipe-style reader. Both systems are embedded in the home button and both serve as an easier way to secure a smartphone, but that's where the similarities end. Apple's Touch ID employs a proprietary sensor, the rights to which were acquired as part of a $356 million purchase of fingerprint hardware and software specialist AuthenTec. The one-touch system allows users to simply place their finger on an iPhone 5s' home button for scanning in any orientation. Samsung's scanner, on the other hand, requires a bit more finesse as anything but a full uni-directional finger swipe isn't good enough for recognition. As noted in the video, this method also inhibits one-handed operation and those with smaller fingers may be limited to the digits they can register due to the sensor's size. While a clear "winner" was not decided, the overall tone of the video seemed to be in favor of Touch ID in terms of usability. Samsung does, however, include a few tricks not yet available on the iPhone, the most prominent being payments integration with PayPal.